The pages below contain numerous photos, schematic drawings, renderings and screen captures of Federation and alien vessels. With very few exceptions the depictions are from "official" sources or based on the actual CGI models. Please note that I am unable to show each and every existing picture. 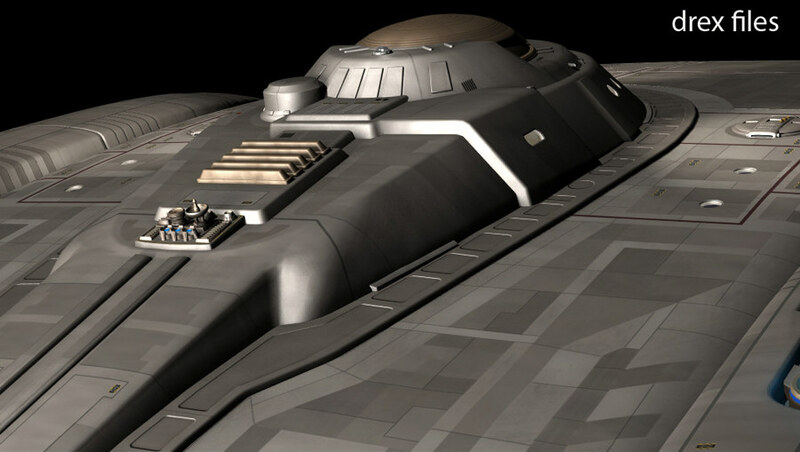 Refer to the Starship Database for more pictures and links to heavily illustrated articles. Major Aliens of the 22nd Century - Andorians, Tellarites, Tholians, etc. The Krenim and Their Enemies - ships from "Year of Hell"
Each image in this gallery is individually credited. Many of them are from print publications like the Star Trek Fact Files, Star Trek: The Magazine, Star Trek Mechanics and STTNG: The Continuing Mission. Please e-mail me for other sources that have to be credited. No infringement upon Paramount's or third-party copyright is intended. Unless otherwise noted, all images were scanned and cleaned up especially for use on this website.